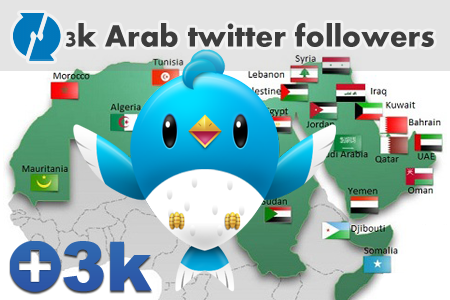 3,000 Arab & real human twitter followers for your twitter account. Increase your social media impact by getting more followers for your twitter accounts, Twitter followers services in this page are all real human and also Geo-targeted as they all coming from Arab countries. Arab followers will coming from Al-Khalij and other Arab countries such as; Egypt, Saudi Arabia, UAE, Qatar, Kuwait … etc. Delivery rate about 2k per 1 day.